New World LPG cooker available in black or satin steel with main cavity capacity of 48 litres and secondary capacity of 28 litres, offering flexibility and convenience to your cooking. 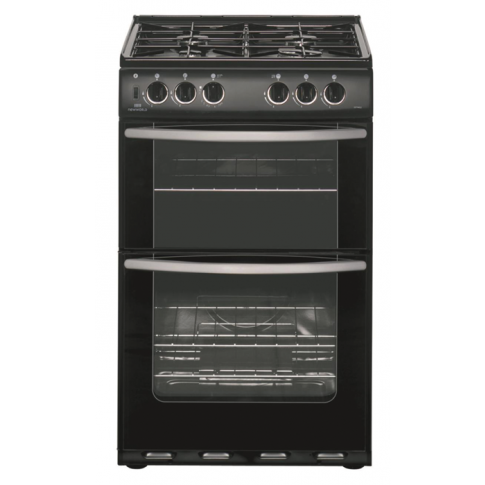 ​New World 55TWLG LPG cooker available in black or satin steel. Features include a variable grill, push button ignition and 4 burners. Comes complete a 1 year manufacturer warranty.